As we accelerate our business audio program, this new partnership allows all stakeholders to benefit from having more leading business content on audio. 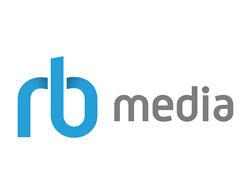 Harvard Business Review Press, one of the world’s leading business book publishers, and RBmedia today announced an exclusive agreement to publish at least 120 audiobooks over the next three years. The partnership brings together Harvard Business Review Press’s world-class content and RBmedia’s market-leading position in the publishing of audiobooks for business, management, leadership, professional development, and more.